Alexei Anatolievich Navalny is a lawyer, activist, and politician. He is generally considered the strongest leader within Russia’s highly fractured anti-Kremlin opposition. 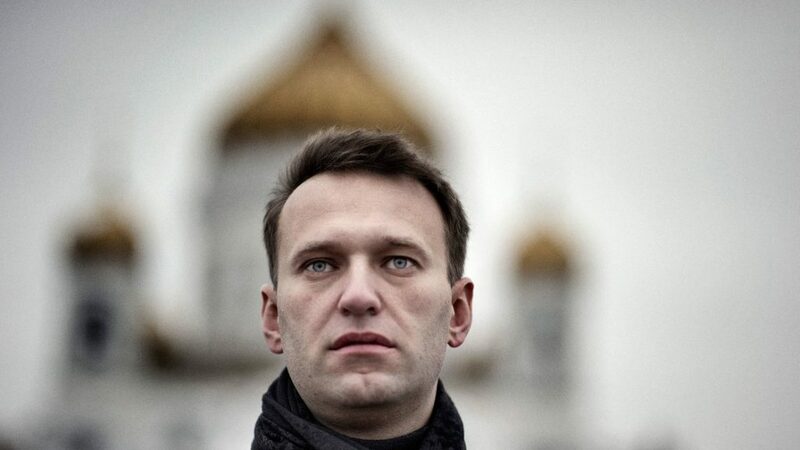 Though initially a marginal political figure, Navalny used his LiveJournal blog to expose government corruption, building a steady and loyal online liberal following through the 2000s. He also created a series of anti-immigrant videos which built an online nationalist following. 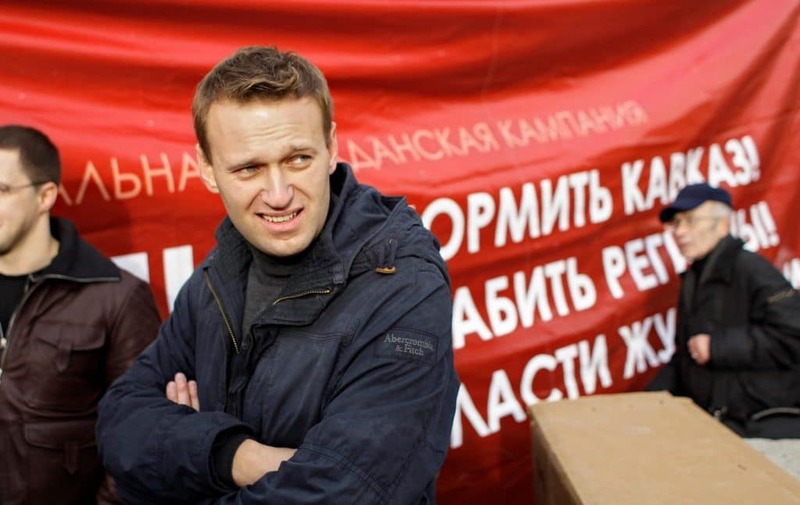 Navalny emerged a major figure during the 2011 For Fair Elections protests, in part due to his charisma as a public speaker and in part because he was the only speaker to have established credibility with two of the largest factions present at the protests. Navalny has continued to capitalize on his social-media savvy to both push his opposition message and to organize protests across Russia. He is currently running for president – even though he is legally barred from doing so due to an embezzlement conviction that many argue was politically motivated. 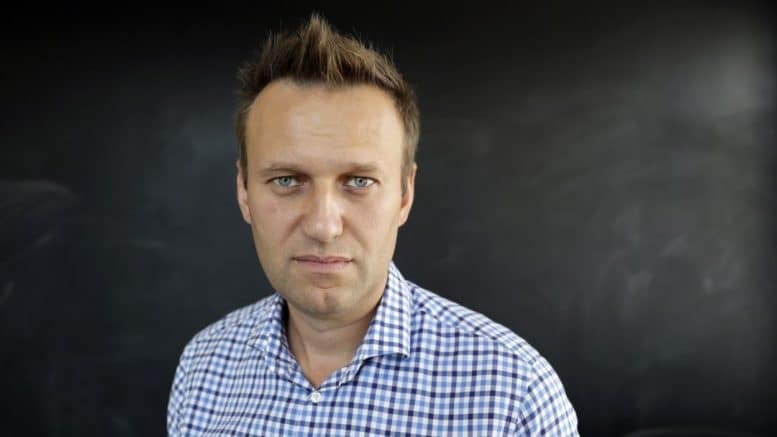 Navalny was born June 4, 1976 in Butyn, a military town 40 miles southwest of Moscow, but he and his younger brother, Oleg, spent their childhood summers with their grandmother in Zalesie, Ukraine. His father, Anatoly, a soldier, and mother, Lyudmila, a microelectronics laboratory assistant, managed to open their own wicker furniture factory in the village of Kobyakovo following the dissolution of the Soviet Union. Navalny moved to Moscow in 1993 to study at the People’s Friendship University in the Faculty of Law. He received his degree five years later and continued on to study securities and stock exchanges at the Russian Federation’s Financial University from 1999 to 2000. In 2010, Navalny won a six-month scholarship to Yale University’s World Fellows Program, a mid-career incubator for world leaders. Navalny returned to Russia and joined Yabloko, a Russian liberal and generally pro-Western political party, in 2000. He became the Moscow branch’s chief of staff four years later. In 2007 he was expelled for nationalist activities: in addition to co-founding the Russian National Democratic Movement (known by its Russian acronym: “NAROD,” a word which translates to “the people”), which collaborated with the now-banned Movement Against Illegal Immigration as well as Great Russia, Navalny participated in the far-right Russian March, an annual parade that utilizes slogans like “Russia for the Russians” and “Stop Feeding the Caucasus.” Navalny, however, maintains that he was expelled for demanding the resignation of party leader Grigory Yavlinsky. Navalny and Yabloko remain at odds. After parting with Yabloko, Navalny shifted into an anti-corruption crusader: first with the RosPil project, which monitors corrupt practices in government procurement procedures, and also by means of shareholder-activism (“pil,” or “sawdust,” is often used in Russian slang for corruption). As his first project, Navalny spent 300,000 rubles (about $20,000) to become a minority shareholder in Rosneft, Gazprom, Lukoil and Surgutneftegas 2008. Navalny then used his shareholder status to request proprietary financial and administrative documents to track their business practices. Above: one of Navalny’s early nationalist videos. This one supports legalizing guns so that Russians can, apparently, kill criminal illegal immigrants. Gazprom, the state-owned gas giant, became the first subject of Navalny’s investigations. He posted a story to his blog about the purchase of gas by Mezhregiongaz, a division of Gazprom, from Novatek, a smaller Russian gas company. According to Navalny’s research, this transaction brought the sellers over $50 million. Although the Moscow Chief Administration of Internal Affairs brought formal charges against executives of both companies, most of the charges were dropped – officially due to lack of evidence. He has also investigated other major companies such as VTB Bank, Transneft, and TNK-BP. Most of these firms are state-controlled and operate in the oil and gas sector. Navalny’s exposés showcase his detailed knowledge of Russian law and mastery of politics during the Internet age. He has since launched a string of online projects such as the RosYama (“Russian Hole,” a reference to both wasted money and potholes) campaign in 2011, a website that provides citizens with a means of notifying traffic officials about dangerous potholes that are legally required to be repaired or cordoned off. According to their website, over 25,000 potholes have been repaired as a result of the campaign. Another project, the RosZhKKh (Russian Communal Services) campaign is a similar website that provides a course of action for tenants who are struggling to get authorities to repair their homes. In addition to providing useful services, Navalny’s accessible and engaging campaigns allow citizens a low-risk means to hold officials accountable and exercise their own legal rights. Navalny also created the Anti-Corruption Foundation (FBK) in 2011, the largest of its kind in Russia with 30 registered employees. The foundation is responsible for a number of projects similar to his LiveJournal exposés, studying publicly available information to document large-scale corruption in government. 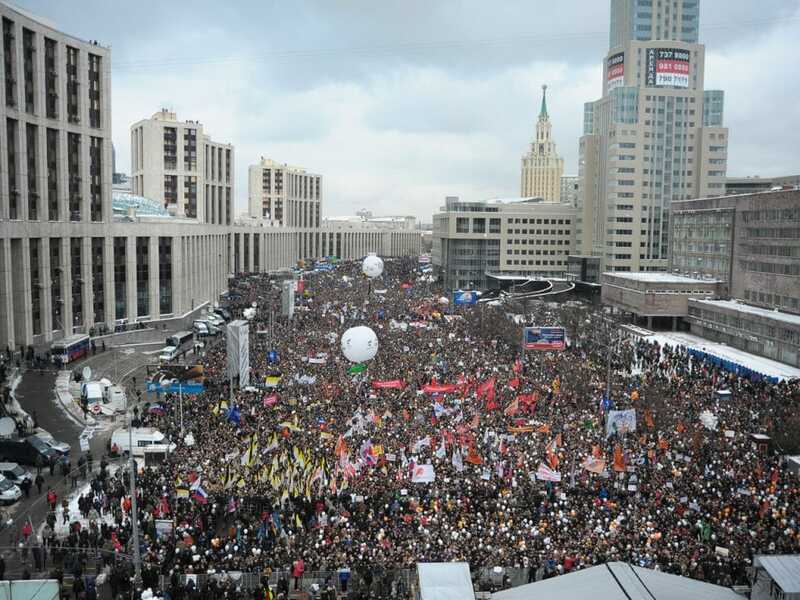 Despite the winter weather, tens of thousands came to the streets following the 2011 Duma elections. Demonstrations accusing the government of election fraud following the 2011 State Duma elections were the largest demonstrations in Russia since the fall of the Soviet Union. Navalny, along with 300 others, was arrested for disobeying police orders and organizing unsanctioned protests. Although imprisoned for 15 days after the first rally on December 5, Navalny was released in time to speak at the largest rally in Moscow, on December 24. There, in front of an estimated 60,000-80,000 people, Navalny coined the phrase “a party of crooks and thieves” when referring to the ruling United Russia party, led by Dmitry Medvedev and Putin. The turn of phrase immediately became a staple within opposition rhetoric and an internet meme. Navalny’s arrest transformed the blogger into a tangible political martyr. According to a 2012 poll by the independent Levada Center, Navalny was only known to 6 percent of Russians in April 2011, but that number jumped to 25 percent in March 2012, just months following the election protests. Navalny remained a popular speaker at many other protest events (although the numbers of the two events above were never repeated) and was sought after by both the Russian and international press as one of the protest movements’ most popular leaders. As evidence of his efficacy as an opposition activist, Navalny’s supporters also cite the fact that government-initiated lawsuits against him seemed to escalate with his political popularity and anti-corruption efforts. In 2010, a case against RosPil was initiated for “illegal use of state symbols;” the logo is a satirized version of the Russian double-headed eagle state emblem. The case was never decided. In 2011, businessman Vladan Stepanov sued Navalny for “damage to his business reputation” after Navalny posted a YouTube video produced by Hermitage Capital (also available in English) that accused Stepanov, among others, of large-scale fraud. The court ruled the video as slander and, although Navalny was not involved in its production, a court found him guilty of slander because it was published on his blog, which was widely read. Navalny was fined 100,000 rubles (then about $1,800) and forced to publish a retraction. Navalny eyes the Kremlin with the Cathedral of Christ the Savior at his back. Other cases have focused on Navalny’s business and professional activities. These have included several charges of fraud and accusations that he illegally received his license to practice law. None of the accusations resulted in convictions until July 2013, when he was convicted of engineering the misappropriation of nearly a half million dollars in timber. Prosecutors stated that Navalny had used his position as advisor to the governor of Kirov, Nikita Belykh, to convince KirovLes, a forestry company, to sell its timber at artificially low rates in 2009. On April 4, 2013, Navalny first announced ambitions to hold political office, stating that he would run for Russia’s presidency and place current President Vladimir Putin behind bars. On April 10, the KirovLes case was closed for lack of evidence. Shortly after, the head of Russia’s Investigative Committee berated his subordinates for not perusing the case against Navalny during a televised meeting. It was quickly reopened and expanded in scope. Navalny accepted the nomination for mayor from the liberal PARNAS party in June. He officially registered as a candidate on July 17, but the following day he was convicted in the KirovLes case and given a five-year jail sentence. A crowd of 2,500-5,000 subsequently filled the streets around the Duma building near the Moscow Kremlin, in part due to online organizing by Navalny’s wife. On July 19, the court in Kirov unexpectedly released him under a travel ban but allowed him to return to Moscow and continue his campaign. His wife and supporters credited his release, which is a rare action by Russian courts, to the immediate and sizeable protests. Navalny returned to Moscow via train on July 20th to a cheering crowd of a few hundred – the maximum amount that could fit on the train platform – to greet him. Although he publically dropped his candidacy with the conviction and called for boycott of the election, on his return to Moscow, he vowed to stay in the race. With the help of his predominantly young supporters, Navalny’s campaign raised 103.4 million rubles (about $3.09 million), 94 percent from private donations. 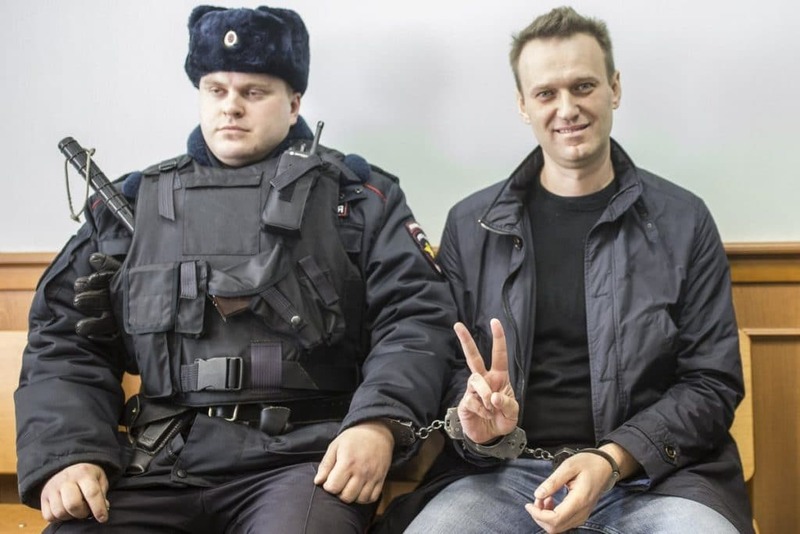 Navalny remains optimistic in the face of legal opposition. Navalny began his mayoral campaign with only 3 percent support in the polls and ran what’s been termed an “American-style” campaign, relying on his personal presence at numerous events to meet with potential voters. In addition to giving speeches at metro stops and on neighborhood playgrounds around Moscow, he had a well-trained team of supporters smile on street corners, hand out information and talk with interested passersby. Shortly before the September 9th election, he was shown to have 18 percent support, having consolidated much of the opposition and many undecided voters around himself. Sobyanin’s support was now closer to 50 percent, the minimum he would need to avoid a runoff election. Navalny’s better-than-expected performance was additionally aided by a significantly low turnout – just 32 percent of Muscovites. While he came in second place with 27 percent of the vote, Putin-ally Sergei Sobyanin collected 51 percent, just enough to allow him to win in the first round of voting. The following day, Navalny publically challenged the election results and demanded a recount, but his request was denied by the Sobyanin administration. That evening, Navalny supporters organized a protest on Bolotnaya Square, estimated to have involved 10,000 – 13,000 people. Two months later, Navalny and his brother, Oleg, were accused of defrauding several clients of a shipping company they’d started in 2008. Although none of the victims testified that they considered themselves defrauded, and representatives of their largest client, Yves Rocher, had even testified that their firm profited while doing business with the shipping company, the court found both brothers guilty. The brothers were scheduled to receive their sentences in January 2015, but their court date was suddenly moved to December 30, 2014 – a time when Moscow is typically freezing and empty as most citizens leave for the long New Year holidays. The court sentenced Oleg to three and a half years in prison while Navalny received a suspended sentence of the same length and house arrest. Discrepancies between the brothers’ sentences caused Navalny to accuse the government of holding his brother hostage in retaliation for his political activities. Above, an extended interview with Navalny with former reality-TV-star-turned-liberal-activist-and-news-anchor Ksenia Sobchak. Navalny was heavily criticized after this interview for incorrect and, many said, degrading comments about life in Central Asia. Sobchak, incidentally, has recently announced her own presidential bid, which some say will act as a spoiler to Navalny’s efforts. Upon his release, Navalny refused to abide by his house arrest. Prison authorities followed him about his daily business and asked him to return home, but Navalny refused. The officers reportedly vanished one month after the sentencing, but as a twice-convicted criminal and known political agitator, Navalny’s troubles certainly haven’t. In December 2016, Navalny announced his intention to run for president in the March 2018 election, but his criminal convictions have stripped him of right to run for the Russian presidency – or any other public office. In spite of this, he’s currently conducting his campaign anyway and has opened more than 60 campaign offices across the country and registered 570,671 people to support his candidacy. In order to run, he’ll need at least 300,000 of their signatures when he tries to register. If elected to the presidency, Navalny promises exempt low-income entrepreneurs from taxes while establishing a high tax on excess oligarch profits. The minimum wage in Russia would increase to 25 thousand rubles per month and the pension to exceed the minimum cost of living. Internationally, his campaign promises to establish a visa regime with Central Asian countries and cease operations in Syria and Ukraine. He also promises to use the federal budget for schools, hospitals and the construction and maintenance of roads. Navalny has released more anti-corruption videos since announcing his presidential bid. Among the most popular, “Don’t Call Him Dimon,” accuses Prime Minister Dmitry Medvedev possessing far more wealth than his government salary should allow. It has been viewed more than 25 million times since its publication in March 2017. 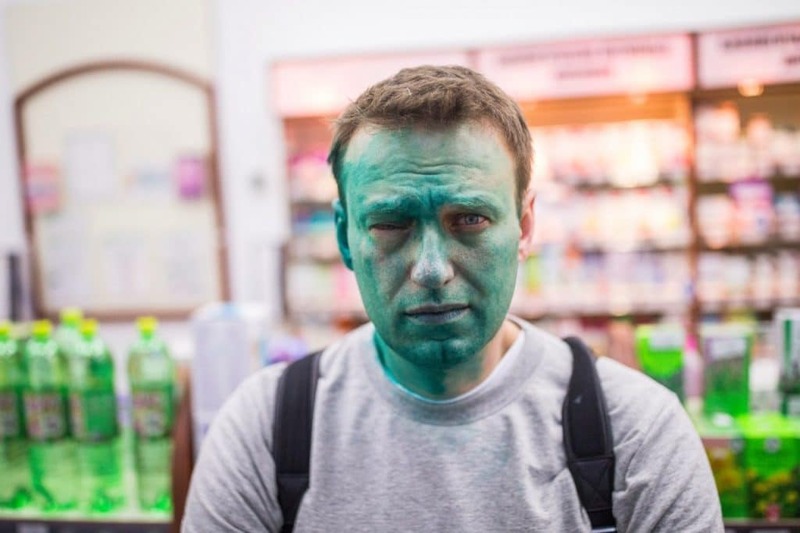 On April 27, 2017, an unknown assailant waiting near Navalny’s FBK office attacked the politician with Zelyonka, a bright green antiseptic dye commonly used to attack political persons in Russia that leaves victims stained bright green for days. Although this wasn’t the first time Navalny was attacked with the dye, it was the first time the dye landed directly in his eye. He remains partially blind in his right eye. Navalny days following being attacked with green “zelyonka” antiseptic die. With his continued online activities, protest organization, as well as dramatic arrests and attacks, Navalny’s name is now known by more than half the Russian population. In a recent poll, about 10 percent of Russians said they might consider voting for him, although only about 1 percent said they definitely planned to. Of those polled, 40 percent said they would not vote for him. Russia’s political opposition varies widely in ideology, and encompasses liberals, socialists, nationalists, communists, and monarchists – to name a few. Although they comprise a large block of the electorate, they lack unity and leadership capable of funneling opposition to corruption and Vladimir Putin into an impactful movement with concrete goals. Navalny, although he’s demonstrated an ability to mobilize massive protests, is often criticized for not having concrete policy steps he would take as president. His platform is grounded in slogans, mottos, and promises that generally indicate eradicating corruption will free up funds that could be used towards education, healthcare, and infrastructure. His most concrete proposals include raising Russia’s monthly minimum wage to 25,000 rubles ($415) and to provide subsidized loans that would allow more people to buy their own homes. He has also promised to push for a visa regime for Central Asian states. Most Russian businesses argue that Russia needs the labor the current travel agreements facilitate and most foreign policy experts argue that this arrangement buys Russia considerable leverage over Central Asian states. However, the move is also one commonly called for by the nationalists that still make up a good portion of Navalny’s base. What is certain, however, is that Navalny occupies a unique space in Russian society with political bases in diverse electorates. His most recent political platforms were co-authored with one of Moscow’s top Communist Party officials, indicating that he is trying to make inroads into yet another. Certainly, if he is to be successful in Russia’s fractured opposition, he will need to continue to build diverse bases. Some argue that if his power grows, it’s possible that his supporters will be increasingly more attracted to the challenge he poses to the authorities rather than to any political ideology he offers. The date for Russia’s next presidential election will be officially announced in December, at which point politicians have 20 days to submit an application for candidacy. The election commission must announce a decision within 10 days of the application, which will likely fall around the New Year.